Atlantic Ambergris via Areej Le Doré and Russian Adam. Base notes: violet leaf, orris root, sweet myrrh, oakmoss, nagarmotha [also known as cypriol] and labdanum. A thin, small piece of ambergris found on the beach. Not dried or in a solid lump. Source: David Herbal Pharma. 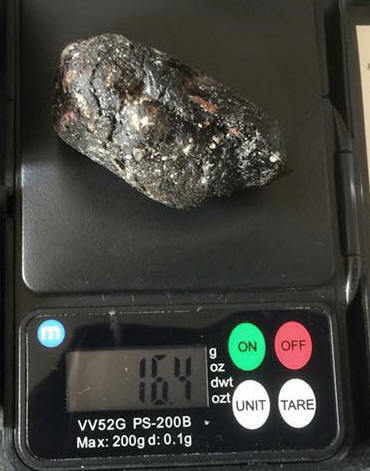 Some of you may not be familiar with genuine ambergris as an aroma as compared to typical “amber,” so I think it’s worth spending a small amount of time discussing it. As I explained in Part I of my Guide to Amber, the term “amber” is actually an overarching umbrella term which encompasses several different sub-types, and what your “amber” fragrance smells like depends on the particular type of raw material used. Part I of my Guide explains the different sub-categories of “Amber,” their materials, and their olfactory differences. 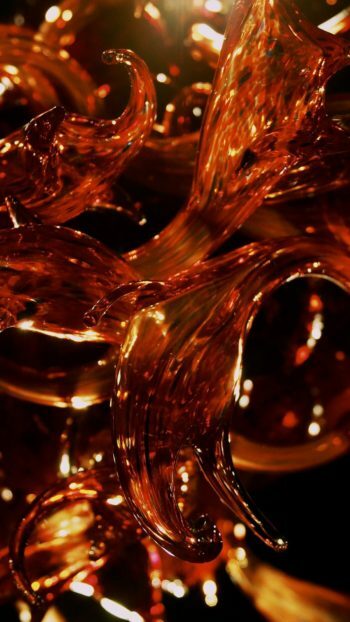 Basically, the vast majority of “amber” compositions are either based on tree-based resins, like labdanum, presented in a mixed-medium blend, or else derive from synthetics. 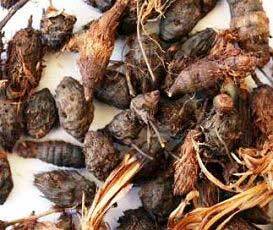 Very few fragrances contain genuine ambergris, let alone in any significant quantity, because it is much too expensive to make it a cost-effective material. You typically have to go to the tiny Indie or Artisan brands to experience it. Photo: Patrick Lillis. 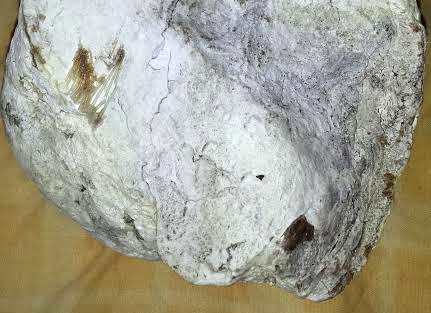 3kg of “stinky” ambergris “sludgy” which means it’s soft and smushy in texture. 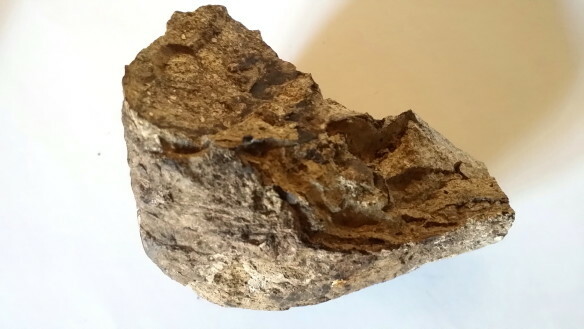 I think this might be a “gold” grade of ambergris. Close-up of one white, expensive piece. You can see a few worms in the mid-left of the image. Photo: Pat Lillis of Celtic Ambergris. 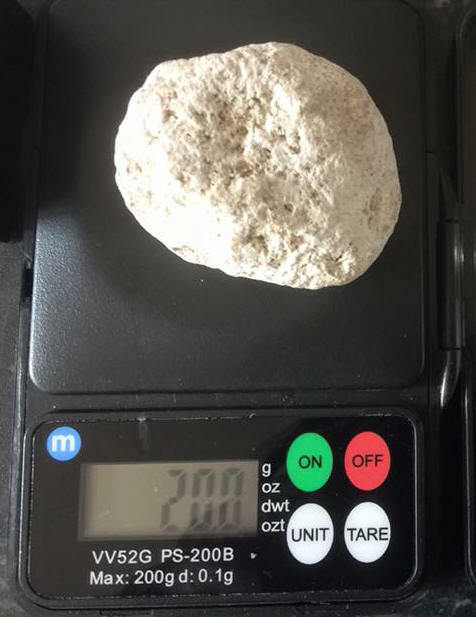 Brown or Grey ambergris chunk, 50 grams. Solid but, as you can see from the right side of the photo, it’s also a bit porous in texture. Photo: my own. The time taken for the ambergris to reach our shores on its winding odyssey from the Caribbean has a major influence on its scent development: the wild and storm-tossed ocean, the strength of tropical sun, the variations in temperature and salinity encountered, the flora and fauna that it mixes with in the upper levels of the water column all play a role in the development of its scent profile, whether awful rotting fish oil with a splash of dung, to tobacco, incense, old books, ancient building or just indescribable beauty. Black Ambergris, the most animalic type. Source: Sultan Pasha Attars. A black piece can be either astoundingly awful in scent or astoundingly beautiful in scent, again in all likelihood due to the time spent as a free floating mass of excreted Ambergris in the salty oceanic environment, or the time it spent ashore entombed in a sand dune for decades or longer. To me, the evidence tends to show that, the longer the piece spends at sea, the whiter and finer it gets. Yet, the finer scent will still get expressed as the chemical changes, forming its finer smelling compounds, and that continues even when a dark piece is entombed ashore. Pieces have been found sticking out of dunes with the exposed faces being sparkling white (sun bleached) and the hidden surface a light grey, and with a scent that would swoon an army. 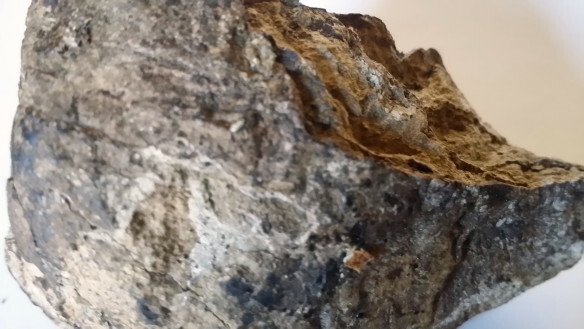 High-grade, very porous, highly refined white Irish ambergris from Pat Lillis. Source: Sultan Pasha Attars. This Olfactory Composition dances around top quality, white Irish ambergris… a precious material that is just as rare as it is mysterious and attractive. Needless to say, it is nearly absent in large scale modern perfumery, due to its high cost and scarcity. Most of the time it is replaced by synthetic alternatives or lower quality grey and black ambergris, which often have an unpleasant aroma. Top-quality, highly-matured white ambergris, on the other hand, has no off notes. Its aroma is pristine, fluffy, silky, slightly powdery, sweet and earthy, with a bottomless oceanic depth that is truly unique. Atlantic Ambergris does, indeed, have an “oceanic” quality in its opening, but I have to confess that I found the first hour of the fragrance quite challenging due to the other notes. The fragrance opens on my skin with heavy amounts of pungent, medicinal, raw-smelling cloves mixed with lesser amounts of bitter nutmeg, then layered in-between ambergris that is salty, very oceanic, surprisingly mineralized, but also sweet and faintly caramel-scented. Following a few steps behind is a boozy, cognac note, then aromatic pine, lemony citrus, toffee’d labdanum, smoky cypriol, and nutty, spicy, sweet myrrh. When taken broadly as a whole, my primary impression is a composition that is half barbershop, half fresh cologne, albeit a cologne with sweet, bitter, strongly spicy, salty, smoky, oceanic, and oriental tonalities. Just as with Flux de Fleur, I have difficulty with the character and effect of the spices. This time, however, the issue isn’t powderiness or dustiness. 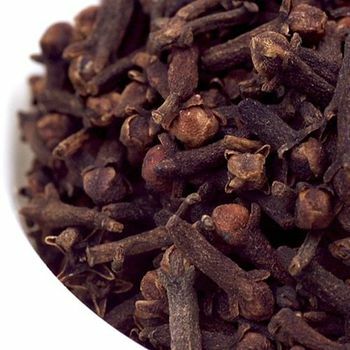 On my skin, there is so much clove, and its aroma is so forceful and so pungent, that the effect is medicinal and reminds me of a dentist’s office. It pains me to write those words for a brand I really like, but I have to be honest and my first obligation is always to you, my readers, above all else. The thing is, as a general rule, I really like cloves in perfumery, but it needs to be a carefully balanced amount and a judicious touch. The amount that appears on my skin here gives Atlantic Ambergris’ opening a medicinal quality, in addition to creating a barbershop vibe. 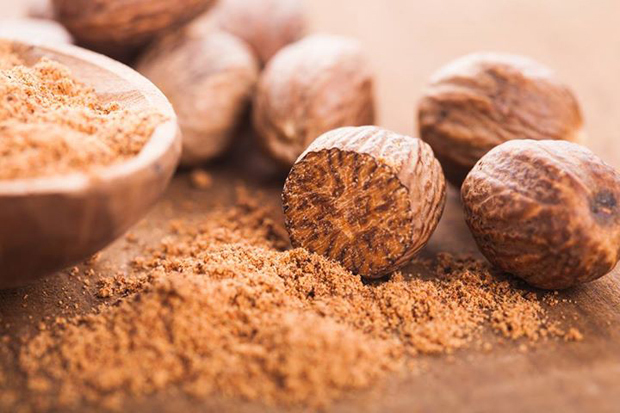 The nutmeg is not as intensive, but it is extremely bitter, so the two together are not the easiest pairing. The spices are challenging as individual aromas but I find their net effect in conjunction with the other elements to be a little confusing. When the nutmeg and cloves are placed next to the crisp, lemony citrus, the aromatically fresh pine, the smoky leathery cypriol, and the oceanic, salty, mineralized ambergris, the cumulative effect is more like an old-fashioned cologne than I had expected from the note list. Yet, at the same time, there is an oriental bent to the scent from the ambergris’ caramel sweetness, the labdanum’s toffee, the cypriol/nagarmotha’s leathery smokiness, and the nutty, smoky sweet myrrh. It’s as though there are different genres of perfumery competing against each other and without a bridge to connect them. I’m simultaneously wearing a medicinal barbershop, an aromatic fresh cologne, and a mixed-medium amber oriental, all blanketed with a heavy clove-nutmeg mix. There isn’t any harmony to the way they appear on my skin nor in how they interact with each other. The different accords are just there, hanging out on their own, each wafting their own particular, individual genre of fragrance, with the cloves sticking out as a massive (and thus, rather jarring) pungent brown thumb, pressing down over them all. Complicating or confusing matters further is the floralcy which appears after 25 minutes on the sidelines, thereby adding yet another competing strain to the mix. The accord is sweet, vanillic, and faintly creamy, but also abstract in feel at this point. Initially, it’s difficult to pick out any of the specific flowers on the list. It’s merely an impressionistic ripple that stands on the sidelines, watching the other strains clashing on center stage. The rough, challenging opening begins to mellow out after 50-60 minutes, thanks to a host of changes. First, the ambergris and labdanum expand, sending out waves of caramel and toffee. 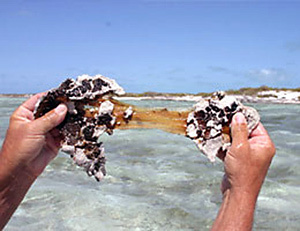 The ambergris remains salty, but it’s not so fresh and definitely not as mineralized as it was originally. At the same time as the ambergris begins to assert itself, the floralcy quietly begins to coalesce into something suggesting creamy, spicy, sweet ylang-ylang, flecked with a wisp of jasmine. The tonka arrives, adding a vanillic undertone to the fragrance’s sweetness and creaminess. Together, they temper the clove-nutmeg mix, mellowing out its bite and lessening the barbershop-medicinal vibe. They also serve to muffle the pine’s freshness and the bergamot’s lemony briskness, thereby weakening the cologne impression as well. When taken as a whole, the changes not only smoothen out the rough edges of the individual notes but also puts an end to the discordant hodgepodge of competing fragrance styles. 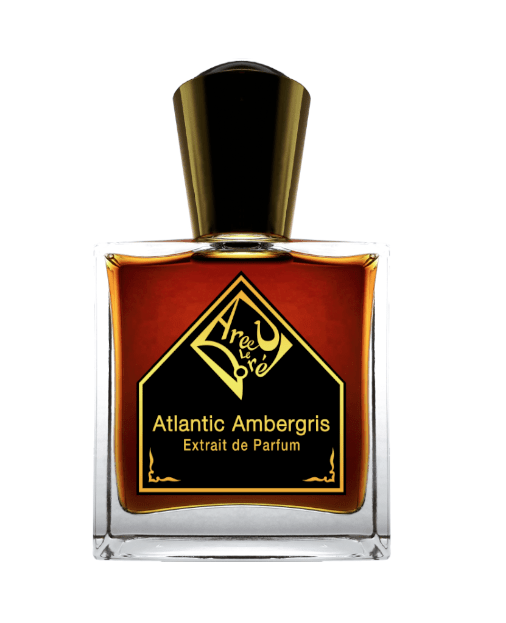 Instead of having three different sorts appearing at once, Atlantic Ambergris is now fully centered on the amber oriental genre. It’s a sweet, heavily spiced, clove, floral, mixed-amber bouquet that is laced with varying amounts of citrus, pine, caramel, toffee, and tonka vanilla, then placed upon a bed of leathery cypriol smokiness. Atlantic Ambergris pivots in an entirely new direction roughly 1.75 hours into its development. To my delight, the ylang-ylang (one of my favourite flowers) comes to the foreground in a major way. The result is a predominantly ylang-ylang fragrance rendered creamy with tonka vanilla, drenched in clove and a touch of bitter nutmeg, then cocooned in a soft, sheer, diffuse cloud of sweet, mixed-medium amber. The fragrance itself is soft and sheer. There is no pine, bergamot, toffee, aromatics, or greenness on my skin. The cologne vibe has disappeared, although the clove remains medicinal. The smoky, leathery cypriol in the base is apparent only when I smell my arm up close, but it works well with the vanilla and ambergris. When smelled from a distance, Atlantic Ambergris is basically just clove, ylang-ylang, and vanilla, enveloped in a clean, soft, and extremely airy cloud of ambergris goldenness. Roughly 3.25 hours in, Atlantic Ambergris changes direction yet again. The ylang-ylang retreats to the background where it is ghostly whisper before it eventually disappears entirely. Rising from the base to take the floral’s place on center stage is the cypriol ( my preferred name for “nagarmotha”). For those of you who may be unfamiliar with the note, cypriol has a smoky, strongly leathery, woody aroma with earthy undertones. It’s frequently used in low-end Western perfumery to recreate (or pass for) “oud.” Some brands use its oil as a carrier for “oud” aromachemicals or to accentuate leather notes in perfumery. Here, its smoky, leathery, and woody tonalities cut through the tonka vanilla, reducing it by half, but also lessening some of the ambergris’ caramel sweetness. The effect is a much darker, drier, smokier fragrance that is largely centered on a clove, cypriol, ambergris bouquet with a soft layer of vanilla subsumed within and a passing whisper of floralcy at its furthest edges. Atlantic Ambergris doesn’t change significantly beyond this point, merely turning hazier, simpler, darker, and more resinous as the hours pass. The floral whisper disappears entirely at the end of the 4th hour, while the clove continues to mellow out, soften, and become better integrated with every hour. The most significant change is that the toffee’d labdanum increasingly overshadows the ambergris from the middle of the 5th hour onwards, bringing with it a lovely boozy, cognac undertone. Everything blends together in a delightful and, if I may say, rather addictive, cozy, comforting haze. It’s a gorgeous sweet, smoky, spicy, resinous amber with quiet undertones of vanilla and woodiness. Atlantic Ambergris remains that way until its final hours when it’s nothing more than a sliver of spicy, resinous sweetness. Like Flux de Fleur, Atlantic Ambergris was softer, quieter, airier, more diffuse, and not as long lasting as the original Areej trio when taken from start to finish. To my surprise, however, Atlantic Ambergris felt even softer and quieter than Flux de Fleur. I used using similar amounts of fragrance for each: several atomizer spritzes amounting to 2 small sprays from an actual bottle. 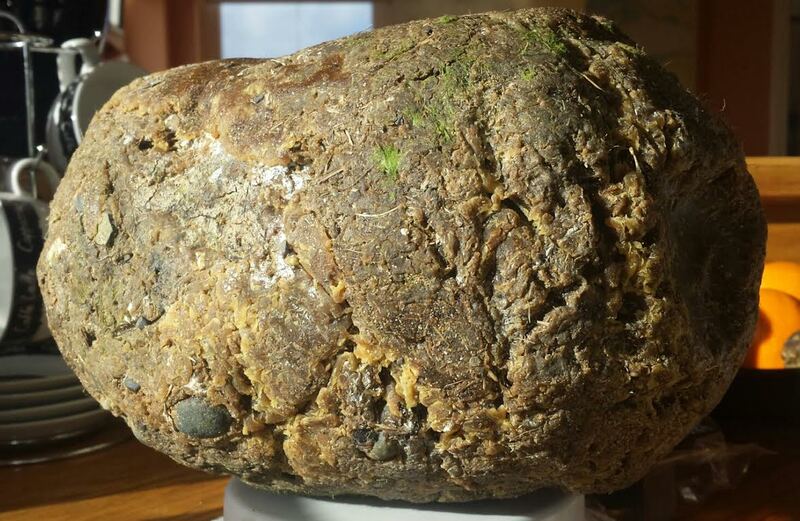 With that amount, Atlantic Ambergris opened with roughly 2.5 inches of projection. The sillage extended about 5-6 inches in a strong but light cloud. After 1.75 hours, the numbers dropped to about 1.5 inches of projection and 3-4 inches of sillage. Atlantic Ambergris turned quiet 3.25 hours in: the projection hovered above the skin and the sillage clung close to the body. The fragrance became a skin scent about 5.5 to 5.75 hours in, and I had to put my nose right on my arm to smell its nuances. The fragrance seemed close to dying when the 11th hour rolled around, but it clung on as the merest sliver a bit longer. In total, it lasted between 13.75 to 14 hours, although one tiny, dime-sized portion of my arm wafted spiciness until almost the 15th hour. For the sake of comparison, Flux de Fleur lasted about 16.25 hours, while Ottoman Empire lasted 36 hours on me even through a shower. It took Ottoman Empire until the 10th or 11th hour to turn into a skin scent but, even then, I could detect it without great effort until the 18th hour. Siberian Musk operated in much the same way. None of the four new releases perform with that power, heft, density, or longevity on my skin. I tested this one again and I still don’t know what to say about it. I can’t detect any note that I can identify even after studying the note pyramid except I think nutmeg and clove. It just smells barbershoppy to me. Maybe I’m totally out of my mind. This is the one that I found soft (very soft after a while.) I’m eager to hear others’ views on this one as well. I share Bangkok Hound‘s perspective and was equally perplexed by Atlantic Ambergris. It does have a clovey barbershop feel to it but the way the scent shapeshifts and turns, it is hard to get a lock-on. I’m catching riffs of MDCI Invasion Barbare and Boellis Panama Millesime, albeit with a touch of florals. It smells familiar yet like nothing I’ve ever smelled. I suspect the white Ambergris is the component that keeps throwing these ‘curve balls’. 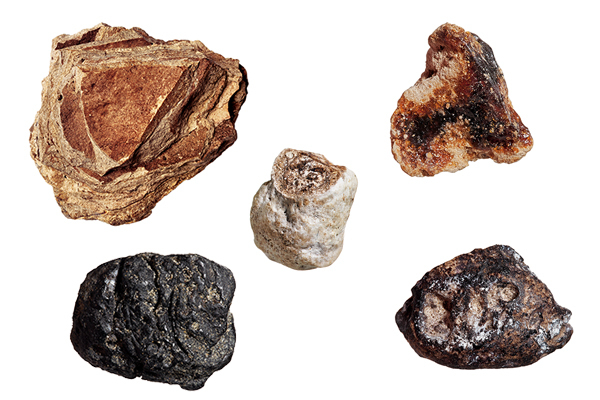 I mean, how many of us here have actually smell genuine ambergris, much less the rarest white variety?. I have smelled genuine ambergris in a variety of grades, even tinctured ambergris for use in a perfume, but I was similarly disconcerted by Atlantic Ambergris’ opening. Quite unenthused, to be honest, although I want to make clear that I’m merely talking about the first hour, not the whole scent. Nevertheless, that hour is indeed “perplexing,” for the reasons I articulated earlier. I also agree with Bangkok Hound that the fragrance is soft in sillage, and, in fact, “very soft” after a few hours. I don’t want to beat a dead horse about Atlantic Ambergris’ issues during the opening hour, but I do want to note two things. First, I want to emphasize that I really enjoyed the fragrance from the 5th hour onwards. Second, I think the “synergy” intention behind the particular confluence of materials was great in theory, even if the execution fell short in terms of how the fragrance manifested itself, at least on my skin. 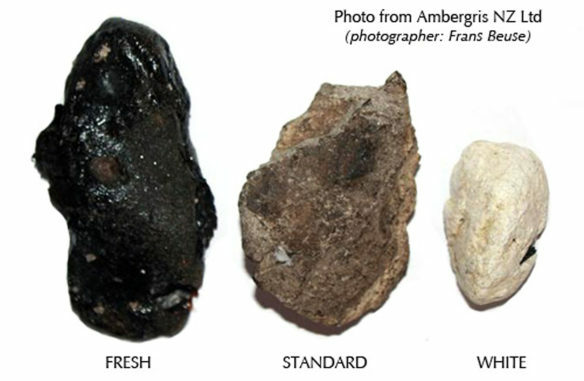 Based on the wording of Atlantic Ambergris’ official description and the various stages I experienced, it seems clear to me that the goal was to theoretically parallel ambergris’ innate olfactory characteristics (across its various grades) by using materials that either had roughly similar scent attributes or well-matching ones. For example: a sweet, spicy, creamy, golden flower like ylang-ylang corresponds to the delicate, perfumed floralcy found in very refined, high-end ambergris; cloves replicate not only ylang’s exact sort of clove-ish spiciness but, also, the ambergris’ own spiciness, especially in the brown or golden sorts; cypriol parallel the earthy, smoky, and leathery qualities of darker grades; the Russian pine was probably intended to highlight the almost aromatic freshness of the more oceanic-smelling types; orris or tonka accentuate white ambergris’ fluffy, soft sweetness, and so on. Theoretically, it’s a great plan, and very clever. It simply didn’t work out that way on my skin and, judging by the two Basenoters’ experiences, not on theirs, either. I think the amount of cloves bears part of the blame, but not all. In my opinion, the problems in the first hour are not merely due to aggressive spiciness; the greater issue is the clash in fragrance styles, resulting in a slightly hodgepodge character during the opening stage. The underlying problem, in my opinion, stems from insufficient editing, either in terms of individual note quantities, the sum-total ingredient list, or both. None of this is easy to write because I’m a big fan of Russian Adam. Whether it’s his Areej fragrances or his Feel Oud oils, he puts his heart and soul into everything. I think he has incredible, innate raw talent, and he’s also one of the humblest, sweetest chaps imaginable. But even the top perfumers can sometimes get carried away by really great, high-quality raw materials and don’t always edit as well as they could in their excitement or the rush of ideas. And, lord knows, even the very best brands occasionally fail to hit a home-run. For me, Atlantic Ambergris is one of those blips. Even though I liked and enjoyed the drydown, when I consider the fragrance as a whole, from start to finish, I don’t think it’s as successful or as accomplished as others he has done. At least, it wasn’t on my skin. Hopefully, it will be different on yours. Disclosure: My sample was provided courtesy of Areej Le Doré. That did not impact this review. I do not do paid reviews, and my opinions are my own. Shopping Details/Additional Links: Atlantic Ambergris costs $300 for 50 ml of extrait de parfum. It’s limited-edition; only 100 bottles have been made. Sample sets are sold out but, if you want to test it, “Strifeknot” will probably have decant splits on Basenotes. Full bottles are available exclusively at Areej Le Doré. Additional reviews at Basenotes starting on page 18 and, eventually, perhaps on Fragrantica. You can buy an individual sample at Surrender to Chance where prices start at $6.99 for a 1/4 ml vial. This entry was posted in Ambers, Areej Le Doré & Feel Oud, Orientals, Perfume Review and tagged Areej Le Dore Atlantic Ambergris, Atlantic Ambergris, Atlantic Ambergris fragrance, Atlantic Ambergris fragrance review, Russian Adam, Russian Adam Atlantic Ambergris, Russian adam fragrances by Kafkaesque. Bookmark the permalink. Thank you for taking a crack at this. I agree with your point about editing- sometimes, less is more. When a central ingredient is a subtle creature, it might be better to roll with that subtlety rather than reinforcing its different facets with other aromatic partners. Another hard to write review. I agree, the only option you have is to your readers, and sometimes it’s painful. But like all scents, they will find a happy home in the end. positive findings or nothing at all. Oh dear. 🙁 I’m sorry, that sounds dreadful, particularly since it lasts and lasts on you instead of eventually seguing into something better. May I ask, did you apply a large amount of fragrance or a moderate amount? Maybe, perhaps, playing with the quantities can help? Maybe a lesser amount will yield a milder clove note? I know I’m clutching at straws here and trying to be optimistic because, in all honesty, I don’t truly expect it to be different on you given what you’ve said and described. This one may be a lost cause for you. Generally speaking, though, you may want to keep in mind that quantity applications sometimes make a big difference with these particular fragrances. I know from things that people have told me privately about the Areej quartet that the fragrances seem to change in the bouquets, notes, and facets they present depending on whether the person applied a lot of spritzes or just a few. That was also my own experience with Oud Picante, resulting in the two drydown versions that I described. I apply one spray on each arm, which I think is probably a moderate amount, relatively speaking. I’ll definitely experiment more with Atlantic Ambergris. The lively oceanic and mineral effect in the opening is so impressive, that it brought back a memory of my teenage years, when I visited a rocky beach in Normandy on a cold winter day and was amazed to see people surfing in this weather (prior to this, I had always associated surfing with sunny tropical beach… :P).